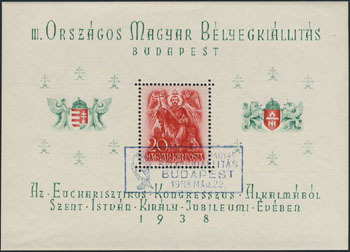 17543 SS HUNGARY (1938) St. Stephen*. Souvenir sheet with special show cancel. 3rd Hungarian Philatelic Exhibit. Scott No 528, Yvert No BF3.